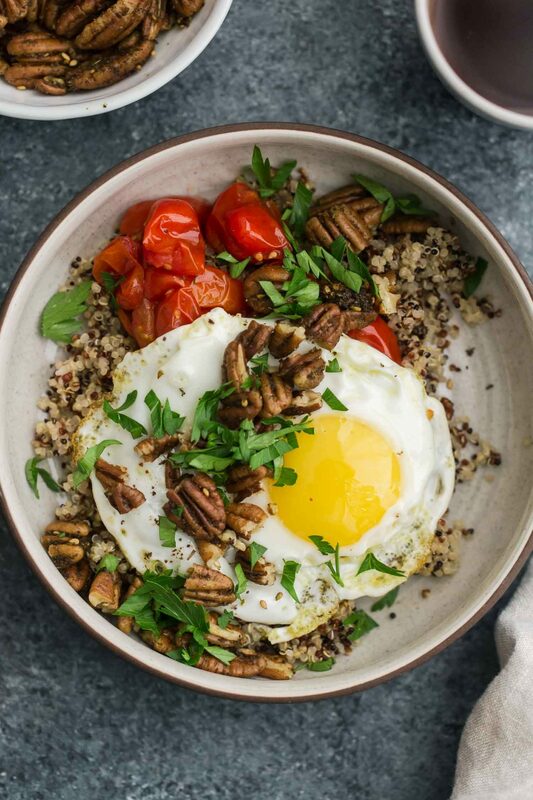 Za’atar Spiced Pecans and Quinoa Breakfast Bowl | Naturally. I am a morning person. I think there is nothing better than getting up early, making a cup of coffee, and enjoying the cool morning air. It’s my best time of day. It stands to reason, then, that I also love breakfast. This breakfast bowl my idea of a perfect start. It’s packed full of protein and good fats along with one of my favorite summer treats: roasted tomatoes! However, I think the best part of this recipe is the za’atar pecans. I love using pecans in a savory way because they lend a natural sweet and buttery flavor to the overall recipe- a perfect compliment for the sumac and thyme in the za’atar! Best of all, the pecans add the right amount of crunchy texture to this breakfast bowl. I love keeping a stash of roasted nuts on hand and pecans are packed full of good monounsaturated fat and dietary fiber. A perfect afternoon snack or happy hour addition! 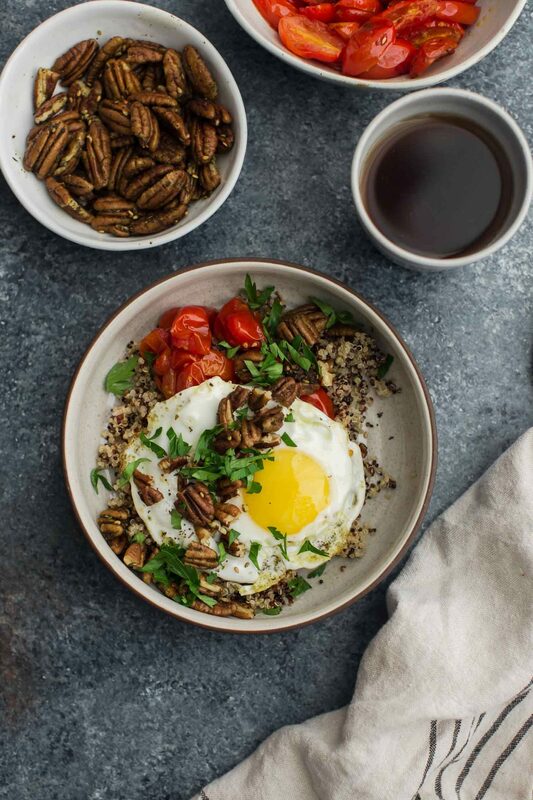 A perfect power breakfast with quinoa, eggs, and roasted pecans tossed with one of my favorite spice blends: za’atar. Preheat oven to 400˚F. Slice the tomatoes in half and place in a roasting pan. Toss with olive oil and salt. Roast until tomatoes are soft and starting to brown, 25 to 30 minutes. 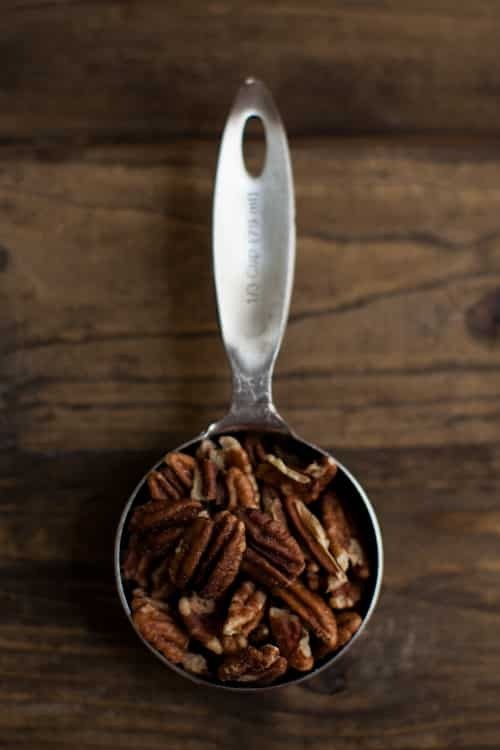 Place pecans in a roasting pan or sheet tray and toss with olive oil. Roast for 10 minutes. Remove from oven and carefully toss with za’atar. Return to oven and roast for another 2 to 3 minutes, until the nuts are fragrant. Remove from oven and let cool. Rinse the quinoa and place in a pan with 2 cups water. Bring to a boil, reduce to a simmer, cover, and cook for 12 minutes or until most of the water has been absorbed. After 12 minutes, turn off heat and let quinoa sit for 5 minutes. Assemble the bowls: divide quinoa into four bowls. Top with tomatoes, fried or poached egg, and pecans. Top with parsley and serve. Tips & Tricks: You can make the pecans, tomatoes, and quinoa ahead of time and assemble in the morning. Vegan: Drop the egg and top the bowl with your favorite fried or baked tofu recipe. Grains: I love quinoa because it’s a power grain that works well with so many flavors. However, you can easily swap it for any grain (or multigrain mix) you might already have on hand. Greens: If I have a any greens on hand, I’ll often make these garlicky greens and add to the bowl as well. I’ve enjoyed this partnership with the American Pecan Council because I’ve learned so much about this cooking powerhouse. 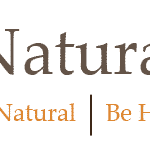 Pecans are the only tree nut that is original to America and grown extensively throughout the South. In fact, most of the world’s supply of pecans come from 15 U.S. states, including Georgia, New Mexico and Texas. Because of this, pecans have an impact on traditional American cuisine. I grew up eating pecan pie for the holidays but it’s become a favorite ingredient in all of my plant-based cooking! I love making pecan milk/cream to use with morning porridges and soups. Omg, this looks wonderful and all those pecans just make me want to dive in! Your recipes are inspired, Erin. Made this for lunch with some wilted spinach and it was divine! A friend was recently telling us about the Za’atar bread shops in Jordan, where she travelled many years ago which sold freshly baked flat breads topped with za’atar. We tried it ourselves over a BBQ and devoured it! Since then, I’ve been exploring using Za’tar in recipes and look forward to trying more of yours.